Cold process vs hot process… at some point, each soapmaker asks which one is better or when they should be used. But before I give you some arguments, I will explain these two techniques a bit more in detail – it is crucial for understanding their advantages and disadvantages. If you are a total beginner – I suggest you to go for the cold process with simple recipes. 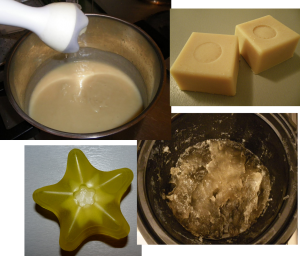 Cold process and hot process are the two basic techniques in making home-made soap from scratch. 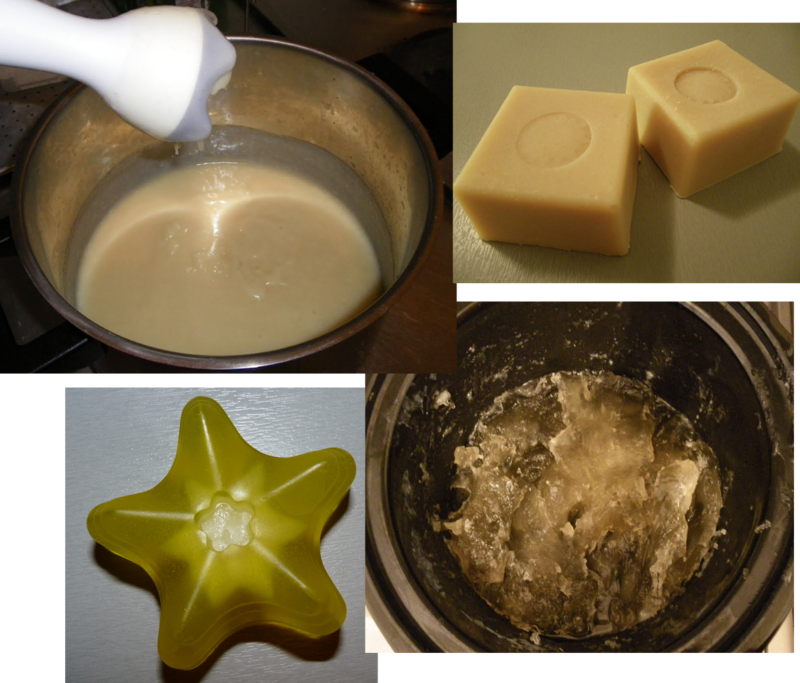 I say from scratch on purpose, as there are two other methods of making soap at home (see this post). There are many variations of these two techniques and I will dedicate to these one of my future posts. 7) Bars of soap are left to cure for about 2 weeks. During this period, water loses water and further hardens. If within the first 24-48 hours soap did not pass the gel phase, this period ensures full saponification. 5) After the soap reaches the stage called the gel phase (which can take 1-2 hours), the heat is turned off and additives are added (fragrance, colorants, other). 8) Soap is let to cure for a week-two – during this period some water evaporates, soap hardens and gains on bathroom sink life (is used up slower). Which soapmaking technique to choose? I bet many soapmakers will find a ton of arguments why their preferred method is better, but here is what I think – no one is really better than the other – both have their advantages and disadvantages. HP> First, I do not have to stand over the crock pot, I just occasionally check on it , it works on its own. Second, yes, maybe it takes 3 hours to pour into molds, but after that the saponification reaction is finished and I can use my soap pretty much right after. You have to wait 24h for unmolding and then 2 weeks for it to cure! Well, that is way too long! Moreover, if I insulate my mold properly, also my soap passes the gel phase and after 24 hours has a correct Ph. And you know, the gel phase is not always wanted. I prefer the structure of an ungelled soap – it is smoother. HP> Ok – for a white soap, cold process may be the best technique, but how many times I really do want to make a white soap? As for the structure – that is really a personal preference, and and as for getting used up too soon – you know that according to experiments of K. Dunn, the gelled soap resists better to water than the ungelled soap? But if you want to make a transparent or liquid soap, you have to hot process – transparency needs a really complete gel phase! CP> Right, the hot process technique is necessary for a transparent soap, but attention – you still can make a liquid soap by cold process, although not transparent. HP> Maybe, but the hot process has another advantage – the fact that at the time you add additives the soap is pretty much finished, you do avoid unpleasant surprises of fragrances/essential oils accelerating your trace so fast, that your soap coagulates within seconds and you can only literally PUSH it in the mold, praying for not having any unreacted lye pockets in it…. HP> But there is more – in the hot process, you can add fragrances/essential oils sensitive to alkaline conditions of the CP process, without them loosing the scent. For the same reason, you need only half of their quantity! CP> Humm, true, but you have to pay attention to your temperature, so that it does not exceed the flash point of the essential oils you add, or they will evaporate! And in addition – with CP, you can make a whipped soap – that floats on water – and a cream soap – that looks and feels like a real cream! Which of the methods would you choose? 🙂 I am sure there are more arguments on both sides – I will be happy if you leave me a comment with your point of view! This entry was posted by evik on October 30, 2012 at 00:53, and is filed under soapmaking techniques. Follow any responses to this post through RSS 2.0.You can leave a response or trackback from your own site. Well written, informative and funny. I do agree with all points! As a side note, I personally prefer cold process, since I really like to swirl and have nice patterns comming out. that back and forth argument was so fake…. So far I have made cold process soap and I have made hot process liquid soap. I really want to try the hot process bar method, particularly because you can use it quicker as my cold process soap seems to be snapped up by family before I get any for myself. I did watch a vide on on Youtube where the soap maker talked about superfatting hot process soap. once the soap had gelled and cooked through, she then added mango butter as a superfat, stating it is a way to guarantee that there is no lye left to saponify the superfat. I found that quite interesting but unfortunately she didn’t tell you if she adjusted her lye measurements for it or whether she just added some mango butter to it and not took that into consideration with the lye calculator. I think the best way to find out to just try a small batch and see what happens, how would you approach it? again, thanks for the comment and the question. The soapmaker was right in that when you superfat CP soap, which is at trace (emulsion), part of the oil you add (e.g. the precious one you don’t want to) will saponify in function of its fatty acid profile (unsaturated fatty acids react more slowly than saturated fatty acids). 3) Calculate the final superfat this recipe gives me if I make my soap according to 2 and then add the shea butter after it saponifies. The superfat is simply 1-135.08/128.699 = 4,7% superfat. Of course, it is a kind of iterative problem to calculate the real superfat value, so if you would like to increase the superfat, just increase the percentage of your shea butter from 50g to 100g in the recipe. I just stumbled upon your blog. 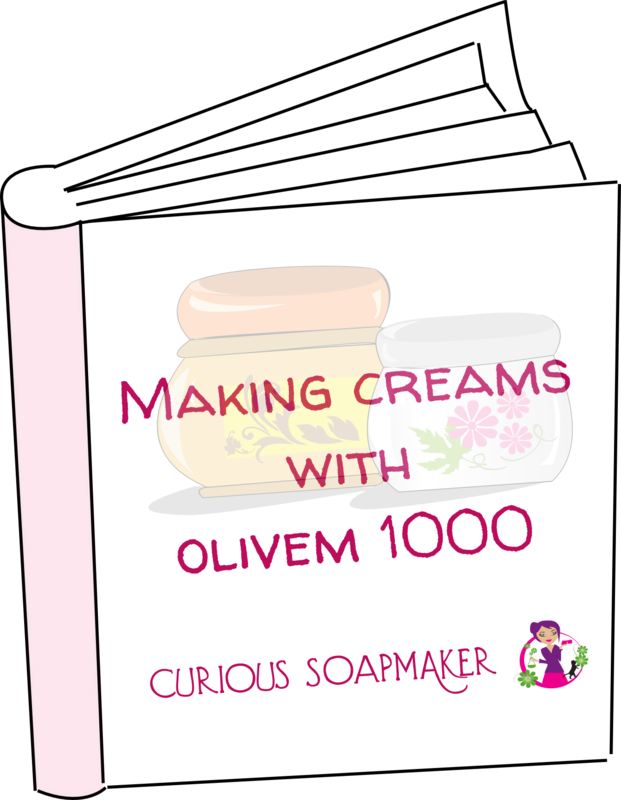 What a fantastic resource for soapmaking! I have been making soap for almost 2 years. By and large, I have used the cold process method but recently began experimenting with a cold process/hot process method. In that method, I make cold process soap, mold it and then bake it in an oven set to 170F for an hour. I have found that the helps intensify any color and uses the best of both methods. I have never made soaps before but kind of like your idea about combining the two methods. I never made bar soap, so I am thinking about using the melt and pour method but am wondering if a beginner can jump right into the cold process since I want to control everything that goes into my soap. What do you think? Also you bake your soap immediately after pouring into the mold? do you then follow the standard recipe for the CP soap or does the recipe change slightly because you baked it in the oven? Lastly, do you use silicon loaf mold pans. If not what do you recommend? Very interesting to read about other soapers. However, none said something about the shrinking soaps, the reasons. I have had my hands on cold process and I found some beauty in it. When given proper calculations you will get a fine soap showing glycerin compound. Unfortunately, fragrance born off before the soap cures completely for two weeks. I still need advice on that. The HP I have not ventured but one advantage I believe is that CP is faster. if you have problem with fragrance not surviving the soap cure, you should increase the amount of fragrance. Some essential oils, like lemon for example need to be added at least 20 ml for 1kg of oils. Adding cornstarch (2 tbsp) is acting as scent fixative. So far I have made cold proescs soap and I have made hot proescs liquid soap. I really want to try the hot proescs bar method, particularly because you can use it quicker as my cold proescs soap seems to be snapped up by family before I get any for myself.I did watch a vide on on Youtube where the soap maker talked about superfatting hot proescs soap. once the soap had gelled and cooked through, she then added mango butter as a superfat, stating it is a way to guarantee that there is no lye left to saponify the superfat. I found that quite interesting but unfortunately she didn’t tell you if she adjusted her lye measurements for it or whether she just added some mango butter to it and not took that into consideration with the lye calculator.I think the best way to find out to just try a small batch and see what happens, how would you approach it? Hi Kamil, if you add oil after the saponification has alomst finished, which is the case when soap gelled , you can be sure that mango butter or any other oil you add remain unsaponified. Calculating superfat for hot process is less obvious, but not impossible. Simply calculate the lye you need for the superfat oil and than see what ipercentage it makes from the whole recipe. E.g. you need 95g of lye for recipe without superfat, 5g of lye for superfat part, which makes 5% of superfat. Importantly, this does not mean your superfat oil is 5% of the oil phase. I have also made a white soap using CP but I was not comfortable with the soap floating. I dont know whether floating soap is a good soap. You may wish to advice me. I don’t know how exactly you did the CP soap white so that the result is floating, how did you do it? There is usually nothing wrong with floating soap – actually, it is rather practical – you never loose it in the bath 🙂 So called whipped soap (CP soap based on 70% of solid oils – fats) is made by whipping oils and that leads to floating soap. What book is the best to buy for soap making for a beginner? I would like all the Recipes of Soap making in the book. From Cold Press to Transparent hot press. I’m using Melt & Pour and find it too soft. I also used the low sweat M&P and was too soft. I put stearic acid and it did not harden enough. I also wanted my Ingredient Inserted to be SUSPENDED and I used the suspension soap and it was mush and wet. I even used stearic acid again in the Suspension M&P Too WET and DID NOT SUSPEND. I’M SO FRUSTRATED! HELP!!! The Glycerin I believe is too soft for this ingredient I want suspended. I need a TRANSPARENT soap that is simplistic. making soap from oils and lye). Therefore, I strongly discourage you from trying to make hot process transparent soap if you never made a cold process soap in your life. A lot of things can go wrong and if you do not have experience, you will get frustrated and loose a lot of ingredients…. I am not an expert in M&P soap, but suspending things in the transparent soap might be a problem as well, mainly if the thing is relatively heavy and has higher density than melted soap. I cannot imagine doing it without either double layering (first waiting one layer to harden, than put on it the object to be suspended and than add another layer), or using some support system. Evik: This information is fantastic, thanx for sharing. Question: Is there a good, middle of the road, process that allows for simplicity of CP, and some of the benefits of HP? I’m extremely new to this….still in the planning phase, and have yet to receive my tools, chemicals, and sundry stuff in the mail. So I’m watching a lot of videos, reading library books, and searching the web for ideas that match my tastes. I like the CP method, want to do some creative things with colors, scents, and swirls……all with the idea that 4-8 weeks, to dry and cure, is a bit much. Is it possible to do a modified HP, by heating/cooking for only 1 to 1.5 hours, while still retaining some of the work time, viscosity, and manipulation (for swirls and patterns), and getting a shorter wait time till the product is dry, set, and stable for use? Thanx, in advance, for considering my question(s). VeryNewGuy – first, my apologies for answering so late, I was busy :-/ – the good middle road would be cold process in the oven (CPOP). This is a CP soap that after poured into heat resistant mold, is put in the oven to be heated at around 50°C for 2 hours, so that it passes the gel phase. This way you make nice swirls and still get to use the soap “right after”. However, patience is needed for all soaps (even HP or CPOP), when used the next day, as they are usually still quite soft and still may have high pH (e.g. 10, which is good to be used, but still can cause “dry hands” feeling). In the CPOP you need to pay attention to cover your soap so that not much evaporates. do not try to CPOP soap that is out of mold – it will melt as the gel phase makes it very soft, almost liquid. Do not CPOP soaps with milk or any other type of sugars in it – this will overheat soap and cause problems (if not the “volcano” – soap getting out of mold, then evaporation of heat sensitive fragrances and essential oils, or some phase separation). Oh, I could make an article about it! Sometimes you even do not need to oven process your CP, the gel phase can occur very nicely, although sometimes within 24 hours…. In any case – patience is needed when soaping :). I do not recommend CPOP if you never CP soaped – too much things can go wrong. Hi Evic. I am new to soap making, but love it and hope to do it the rest of my life. I have made 6 or 7 batches and loved every one! I broke a rule (maybe two) that you mentioned and used CPOP method on a lemon lavender yogurt soap. It was one of my favorites. Best fragrance ever and unbelievably moist. It was naturally a light golden color. I love the CPOP method after beginning with HP. I haven’t tried CP as I want to use my soap right away. I would like to know which method will produce the palest color, with ingredients a consideration, of course. I am new to soap making but I have purchased all three types of soap melt and pour with and without detergents, Hot processed and cold processed from two different venders for rebatching and this is what I have found. M&P is great for making intricate molds the ones made with coconut and no detergent lather the best and leave my skin very soft. Cold processed holds the fragrance nicely, clean very well and leaves my skin soft. Hot processed cleans very well but within a half hour my skin starts to feel dry and smells a little strong( Chemically) even after fragrance. I feel it makes for a good laundry soap for pre treating. So out of the three I think my favorite is Cold processed,it looks homemade it clean well leaves skin soft and gives me a little more creative wiggle room. 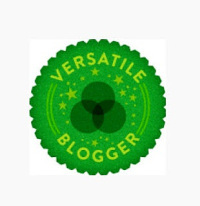 Thank you Shabby Cabbage Rose for this review. It would be nice to know if both your CP and HP soaps had the same oil composition or additives. Different oils make really different soaps and I would really not judge on only one. I have made CP soaps that were drying, as well as excellent HP soaps and vice versa. This really has me interested, as I’m searching for if it’s possible to cold process liquid soap, and how. I want to make goat milk bubble bath, but with hot process, it keeps turning brown. Hi Marsha, did you try to first make the soap paste and only then add milk to dissolve it? Great description about the two methods. We just mixed up a pine tar soap based on a classic lard recipe. We used a method somewhere between the cold and hot method. So far (its out second batch) I prefer the cold method as it is quicker to trace and we don’t mind waiting a few days for the ph to drop – we use the soap for washing clothes anyways. Thanks for the writeup. Thanks Sarah for your input. I found another positive of HP method – it can bind some of the colorants better so that the soap does not colour the sink (e.g. cocoa powder). However, I believe the same effect can be reached when your CP soap passes gel phase. I am testing that now. I’m new to soap. While I want to avoid chemicals myself, I also want to create insecticidal soap, which I understand is old fashioned lye; sodium hydroxide is too harsh for plants. Additionally, I am making my own lye from ashes. In my limited experience the hot process has given better results, even got bars from a recipe intended for cold process liquid soap with just olive and sunflower oil. Hi Alex, thanks for your input, it is much appreciated! Not a comment as such, but want to know between CP and HP which is a better process to produce bars by using a machine? At which condition to put the soap in a machine to produce bars? Hi! I`m very glad i found this page, very useful information, and I think I need some advice. I understand that I have been making CP soap for a while (I thought it was HP and that M&P was CP! ), but I have never seen the gel phase? I allways just mix the lye and oil, blend with a stickblender until trace, and pour into molds. I leave to cure for 4-8 weeks (without wrapping in towels, why do I need to do that?) One time, I added just a few drops of essential oil, and I think it “seized”. Is that the same as gel phase? Also, I use the two different lye calcs to get the right measurements (I usually use about 5% superfat), but I never add the superfat oils after trace, I mix and heat all of the oils before adding the lye solution. Have I misunderstood? Should I wait for trace, and THEN add 5% of the oils in the recipe, or add 5% extra oils? That would make it 10% superfat? I am so confused. I hope you can help. This was a great explanation for me as i am doing my research before starting to make soap. I do have a question. Can i use a recipe that is intended for HP but use CP? Do you have to do any conversions or can i not use it at all? Just curious cuz i found some HP recipes i want to try but want to start with CP becuase it looks so much easier starting out. Hi Kari, normally, any recipe can be done CP or HP, however,there are some exceptions. For instance, it is very difficult, if not impossible to CP soap containing alcohol – you risk heavy separation of batch. Also milk soaps or other soaps containing sugars should not be done with HP, since sugars do caramelize and your soap will turn brown. Unless it is what you go for, of course. Interesting debate! Regarding white soap – I am far more a CP soaper by preference, but I do HP my 100% OO – mainly for the reduced cure time as I’m forever running out of space for drying racks. I do get some colour variation from quite a brilliant white to slightly greenish (which relates more to the particular batch of OO I’m using than to the process) but I get a far superior product HP-ing than CP-ing…admittedly I rather like the slightly rustic appearance of HP as it fits my general product image too – but looks good and lathers far better than any CP 100% OO I’ve ever managed to make. Evik… I’ve found alcoholic beverages in CP work okay if I handle things as I would making a milk soap…i.e. freeze beforehand (also helps flatten the bubbles off if you’re using beer or some leftover sparkling…), have an icy slurry rather than room temp liquid when adding the lye, etc. One of my more popular soaps is a CP beer soap (subbing 80% of water allowance by weight for flat/frozen beer) – no added scent, just holds the faintest beery tang. I’m not a huge fan myself as I don’t like the stuff – but the blokes seem to like it. Great article and points. I am an HP gal and have learned to make it fluid and swirling is much easier. I love to watch all techniques! I’m beginner and I want to gain all knowledge about cold process. so please suggest me. And one important query is that how much ingredient will be consume for 10kg soap. In my experience hot processed soap is far superior to cold processed soap. I am skeptical of the claims that cold processed soap holds in the nutrients better. I have found the opposite to be true. The secret is in the base recipe, if you can solve the riddle. 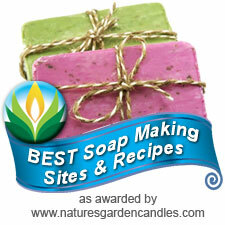 you can make hot processed soap that will blow the best cold processed soap out of the water. You guys will have to figure out how to do that on your own though. I can’t do everything for other soap makers. I agree 100% with Chris! HP allows the saponification process to be completed before adding the goodies. This means the goodies are protected from the chemical reactions. In CP, the goodies are killed off – or at least compromised – by active lye. CP lets you make pretty soaps with colours, swirls etc tho! Thanks for your funny debate. I have done both hot and cold process and def love hot process better in every way. Thank Yvette for your comment. We hold 1 week intensive courses of soapmaking where we teach both CP and HP and it is very funny to see how almost every year we produce either complete CP fans or HP fans. I don’t know the reason yet… 🙂 I myself am more of a CP person. Hi, Evik, Many many thanks for such valuable points… well now would like to ask, For quality concern, which method you consider best either CP or HP. Hi Sanjay, that depends what “quality” do you have in minde. Both can give quality soaps as to foaming, but HP soap is for instance more resistant to frequent use (uses up less quickly). On the other hand, HP soap cannot be swirled nicely and only very rarely can be poured into moulds (even when sodium lactate is used), which often results in soap that is not smooth in colour and structure. I dont need a transparent liquid soap. Is it ok not to reach the gel phase for the liquid soap making using koh as long as the soap traces? Hello. I enjoyed your article. Ive only ever rebatched to which I added a bunch of ingredients for 2 diff batches of soap as gifts they worked well. I am researching taking the plunge into scratch soapmaking. So much to get straight. I want to point out that in your comments poor Inga #31 was never responded to. Her comment being 3yrs old I guess its too late now. I am most concerned about using the right utensils and not ruining them. I rebatched in the microwave. It was fairly easy. I do not want to ruin a crockpot and cant afford to go buy one just for this. I have a big old pot but I have no idea what it is made out of as it was a MIL handmedown and she is passed. I have read that if you clean your items immediately well 2x and use vinegar you should be fine but cant find much about this. Do you have to use a double boiler if don’t crockpot? How can you tell if your metal or plastic containers will work with the lye? I am wanting to use the lye to make german pretzels and have read that they also recommend glass or GOOD plastic for the lye solution mix. I saw also the effects of these dipped pretzels being baked on the wrong type of metal pan..which is solved by silpat use. Also do you have to use distilled water? I guess I can understand a chance of hard metals in the water? I don’t remember ever reading a soap recipe that mentioned distilled water but maybe I did. Do you have to use water could you use green tea? I know the water will be processed by then..but I ask because I want to add this to soap and wondered if it as well as coffee..how do I know if I can use those as the liquid? When it is safe? How it will react at different stages etc. Frankly im wanting to make a good coffee kitchen soap and also a green tea aloe vera soap..using some dry aloe vera powder I have. any ideas or pointers? – When you are rebatching, you either use a double boiler or a crockpot. Otherwise you risk overheating, evaporating the water and burning your soap. – For metals – never use aluminium, which is highly reactive with lye. As for the plastic – you should use polypropylene or HDPE. Anything else can get dissolved (with time) or can crack easily. – I do not recommend green tea, it has a lot of tanins and sometimes makes problems, accelerating the trace, although I already tried to make green tea soap, indeed… I do use coffee. Normally, you can use anything except for very acid liquids (that would react with your lye and neutralize it), such as lemon juice and except liquids containing alcohol (wine, beer…) – these you better use with hot process or you really need to have many soaps made, since they accelerate the trace.